Bitfinex managed to find a connection between the accounts and, following the transactions of the wallets belonging to them, de-anonymized the possible initiator of the one-day Tether ‘crisis.’ An independent analyst who prepared the report for Bitfinex believes that IMMO was involved in the attack, which many media associate with the dynasty of bankers — the Rothschilds. At the same time as the price of Bitcoin showed anomalous growth on Monday, approaching close to $7,800, the Tether ‘USDT’ rate fell by about 7% against the US dollar, to which it is theoretically pegged 1–1. It is noteworthy that the Bitcoin spread at its peak moment reached about $1,000. 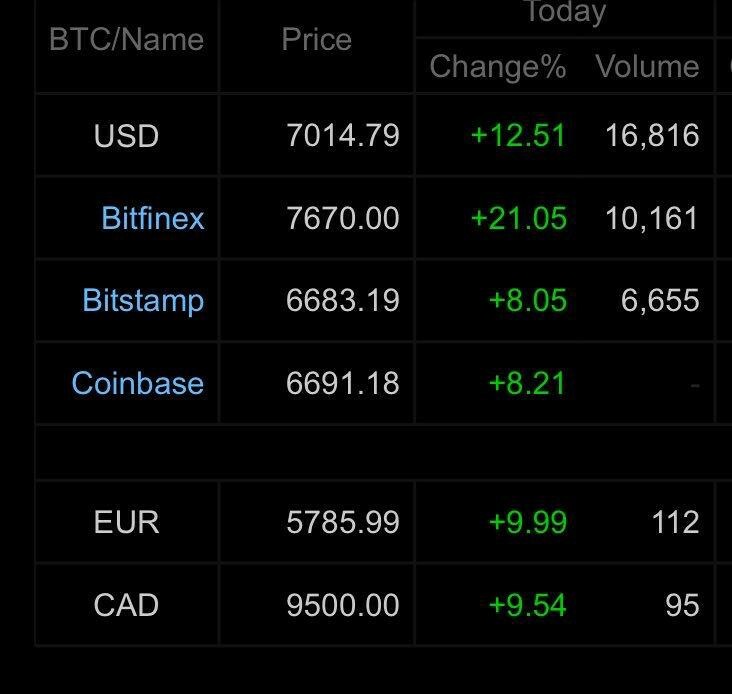 While Bitfinex registered a course at $7,788. At Coinbase, for example, the maximum price of Bitcoin was $6,810. 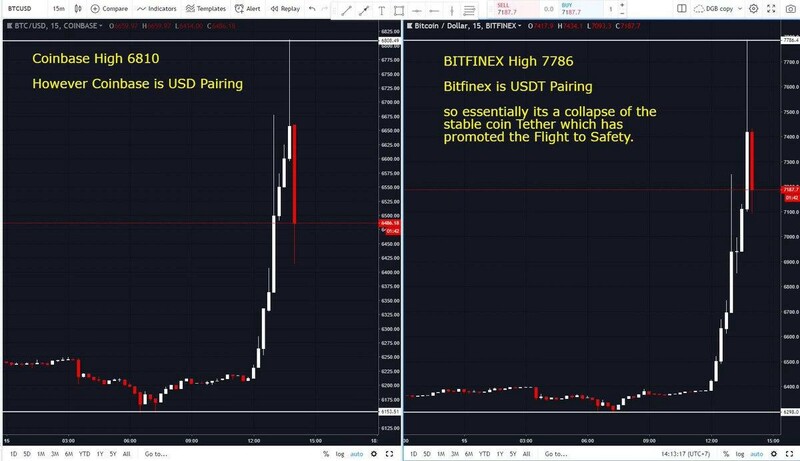 The big difference in the Bitcoin exchange rate on Bitfinex and other exchanges was explained by the divergence of the USDT rate and the real US dollar. The Bitcoin increase was due to the massive sale of USDT on the Bitfinex exchange, which was reinforced by the growing FUD around the Tether situation. At the moment of the rapid growth of Bitcoin, Bitfinex experienced technical problems due to a sharply increased number of orders. The analytical system signaled suspicious activity — the launch of trading bots. According to our source, the trading bots, apparently, were connected in one trading system and managed centrally. As you know, the exchange has complete information about the book of orders, which is also stored in history, because the exchange is engaged in servicing these transactions. Possessing information about the transactions of their users, Bitfinex employees managed to isolate the total mass of ordinary users who made deals at the moment of the pump, — the trading bots. Since the IMMO project aims to become a reserve cryptocurrency, the Rothschilds have a strong motivation to clear a place in the market for their own global project. 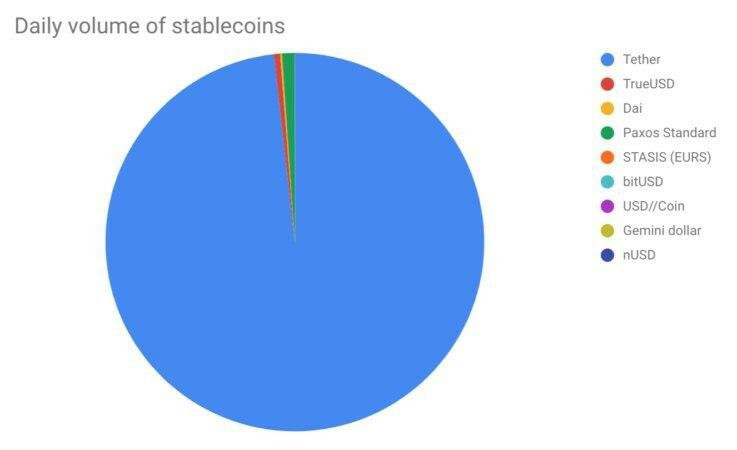 Today, Tether is the most popular stablecoin with a huge daily trading volume (~ $ 2.8 billion), and therefore is an important component of the cryptocurrency market ecosystem. Tether Limited, which is a Tether issuer, has close ties with the largest leading cryptoexchange — Bitfinex. These companies both have the same managers and investors, and the majority volume of Tether passes through Bitfinex. And Rothschild’s IMMO, in order to get the leading position, needed to eliminate its competitor — Bitfinex. To this end, apparently, the attack on the USDT was systematically organized. It is worth noting that IMMO did not make a critical blow, but in tandem with growing problems and doubts from the community, this hit could be the spark that lights the fire. Increasing FUD around Tether — Are the Problems Genuine? For a long time, there have been controversies around Tether, since it is not clear whether the USDT is fully supported by equivalent fiat dollar reserves. While Tether claims that their dollar reserves fully support the issued USDT 1–1 tokens, many critics have challenged this statement. One of the reasons being their dubious banking history.